Being a nurse is not easy. 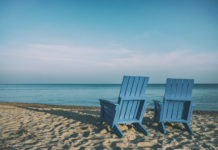 Aside from spending long hours attending to all your patients’ needs, you also have to face a lot of stress every day. 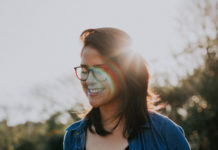 These things aren’t only mentally exhausting; they can also mean a lot of discomforts, particularly in your back, shoulders and even your neck. To protect yourself, it’s a great idea to invest in items that can help reduce strain. 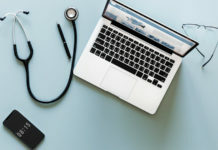 If you have flat feet, here are the best nursing shoes for flat-footed nurses you can check out. Nurse Mates Women’s Dove is light enough to make you feel very comfortable throughout your shift. It has a simple design which makes it a great choice if you have a strict dress code to follow at work. You can get it in either white or black. Its heels aren’t that high. At 1 4/8 inch, you won’t have any problem walking around or standing for long hours while wearing them. Aside from protecting your feet against fatigue, this set of shoes is also non-slip. Its material is stain-resistant, too. It’s easy to clean and disinfect. Nurse Mates Women’s Dove is flexible. It’s specifically designed for motion control. Its rubber inserts are really great in keeping your flat feet supported and comfortable. Although suited for flat feet, you may have trouble wearing them if you also have wide feet. Make sure to find the right size to avoid compromising your feet’s blood circulation. 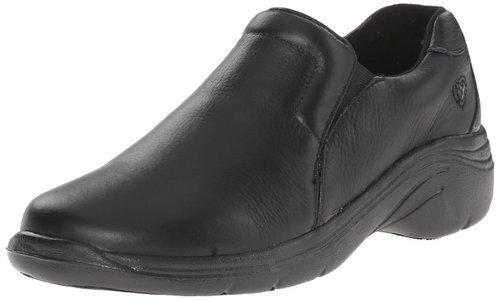 For reliable arch support, Dansko Women’s Professional Clog is one of your best options. 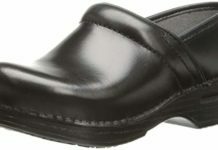 It’s also one of the most durable nursing shoes on the market today. Its upper part is made of durable leather. Most nurses who have this set of shoes claim that it actually took them years before they needed a replacement. The shoe’s toe box offers a lot of space for wiggling your toes. If you’ve been standing or walking for several hours already, this is actually a helpful feature to ensure proper blood circulation in your lower extremities. Aside from comfort, you can also get better stability from wearing the shoes because of their wide heel strikes. 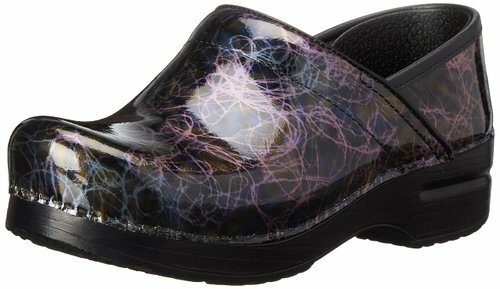 Dansko Women’s Professional Clog isn’t only comfortable and durable; it also comes with a lot of colors and designs. It can give your uniform an added touch of your personality. Aside from arch support, its rocker bottom can help relieve most of the strain on your heels and hips, too. Ordering online for the first time might be problematic for this pair of shoes. To ensure fit and comfort, it’s a good idea if you can buy your first pair personally so you can try and walk around in them. Once you’re sure of your size, you’ll have no problem ordering a pair online. If you’re not a fan of heels but still looking for a good arch support, this Birkenstock Unisex Professional Tokyo Super Grip should be on your list. With heels measuring 0.75 inch, it has a contoured cork footbed to fit the shape of your feet. It provides excellent grip on the floor with its rubber outsole. Its upper, on the other hand, is made of genuine leather. 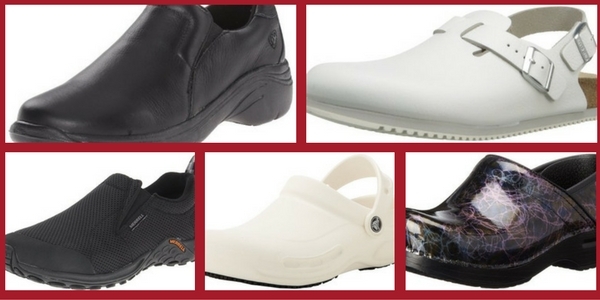 Aside from excellent durability, the shoes are enclosed to ensure your protection at work. You can wipe off any spillage quite easily. Unlike most nursing shoes for flat-footed nurse, this one isn’t too tight across the top of the foot. The shoes have adjustable buckles to give you maximum comfort. Finding the right size can be tricky. The shoes may also need a breaking in period. For most of its consumers, it took several days. 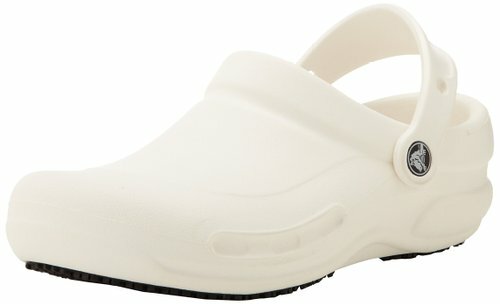 Although the Crocs Unisex Bistro Clog are specifically created for people working in the food service industry, they are also great for nurses who spend a lot of time on their feet. They’re enclosed and slip-resistant. These shoes won’t make your feet feel crowded. They offer a lot of space for you to move your toes around. Their Croslite material also allows them to fit perfectly to the shape of your feet. 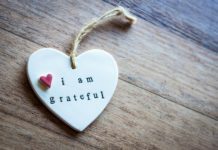 These features make them great for people with both flat and wide feet. They are relatively easy to clean, too. You only need to use soap and water. If they get intensely stained, you can soak them without having to worry about permanently damaging them. One great thing about Crocs is the distinct massaging nubs on their soles. These nubs provide extra relief as you walk around. These shoes are lightweight and extremely comfortable. The massage nubs are helpful in relieving pressure. Although comfortable, these shoes may not provide the best arch support. If you’re looking for more arch, you can use orthopedic insoles with them. They also tend to go a tad bigger in terms of size. 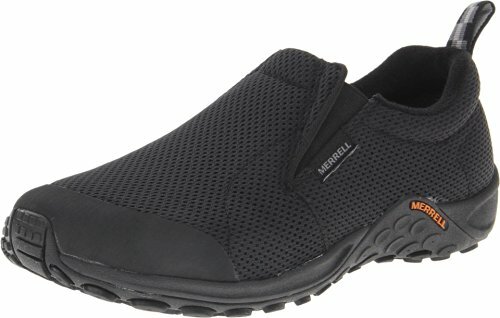 Merrel Women’s Jungle Moc Touch Breeze has a unique design. For one, it has an air cushion design for the heels which helps ensure stability. It also absorbs shock. One feature that sets this shoe apart from the other ones in this list is its mesh materials. Aside from comfort and support, it also has an air ventilation system to keep your feet feeling cool throughout your shift. Its insoles can absorb both odor and moisture, too. You won’t have to worry about having smelly feet right after you take your shoes off. The insoles can be removed as well which means you can easily switch them with your prescription custom orthotics. The shoe isn’t the most stylish one you can wear to work, but it is reliable in terms of comfort, durability and protection. It comes in two colors: black and charcoal. It’s lightweight and offers great support. It even works well against bacteria build up. There’s not much room in the toe area. If you also have wide feet, you’ll find the shoe tight. Another thing to consider before buying this shoe is that it isn’t slip-resistant.